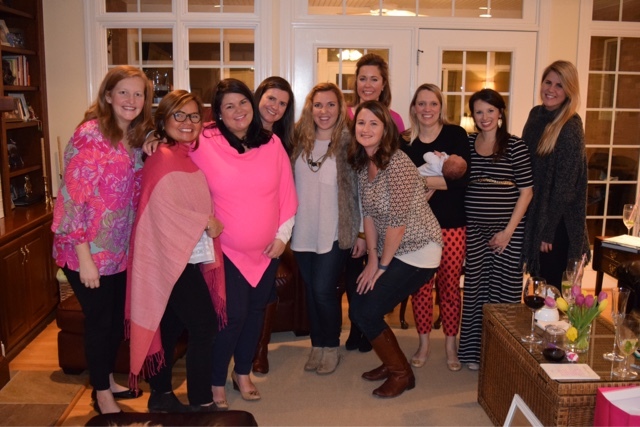 Last night was filled with presents, great food, girlfriends, and excitement over a baby that will be here SOON ... so basically, it was perfect! Our friend Sarah is expecting her second daughter in February, so we all gathered to sprinkle her with a few small gifts and talk about how excited we are to meet this sweet baby girl. I played hostess along with my girlfriends Classic Annie and Lauren. The mama is in pink! This banner was an awesome Etsy find by Classic Annie. I made this wreath for the front door. I wrapped a straw wreath (still in plastic wrap) with the pink and white ombre ribbon and then used a chalk marker to straight up copy this design I found on Pinterest. It was my first time attempting one of these boards and I can't wait to try it again! We also had the guests to fill out these "wishes for baby" cards. I love this at a baby shower ... way more fun than playing cheesy games! The food, oh the food! I'll let the photos speak for themselves. Above are the yummiest little ceviche cups, and below are brie bites. YUM. I made these little cucumber sandwiches, and I also did a low-carb option that was a cucumber cup (hollowed out with a melon baller) and filled with jalapeno artichoke cream cheese dip that I found at Aldi ... and let me tell you, that dip is absolutely delicious. The tulips throughout the house looked so lovely! While Sarah opened presents, we all signed this frame for Mary Scott. The frame had a 5x5 opening and I was able to create this sweet little name graphic in PicMonkey and print it out at home on cardstock for free. 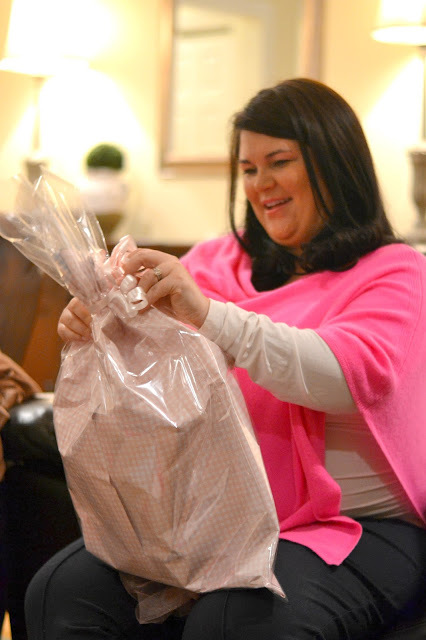 It was truly a joy to sprinkle this deserving mama with love and sweet little girly gifts! Y'all did such a lovely job! 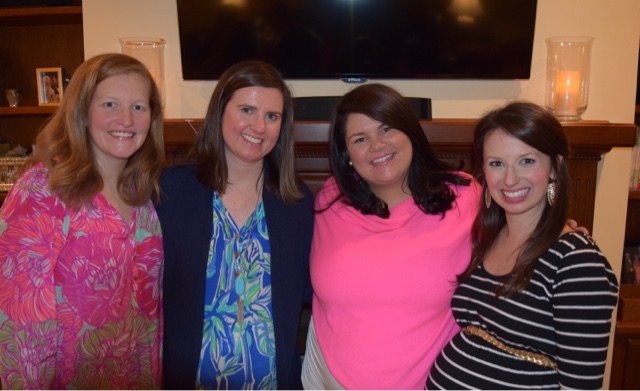 It was such a fun evening celebrating ghetto sweet mommy to be and baby girl! This is even better than the post hahaha! I sort of love this autocorrect. Beautiful shower! 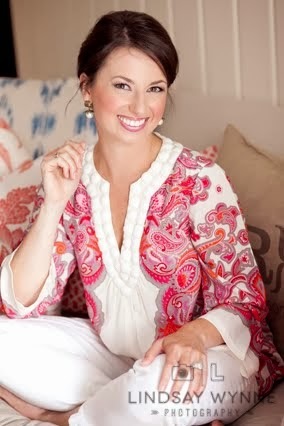 And Sarah is gorgeous! I can only imagine how darling baby girl #2 will be! 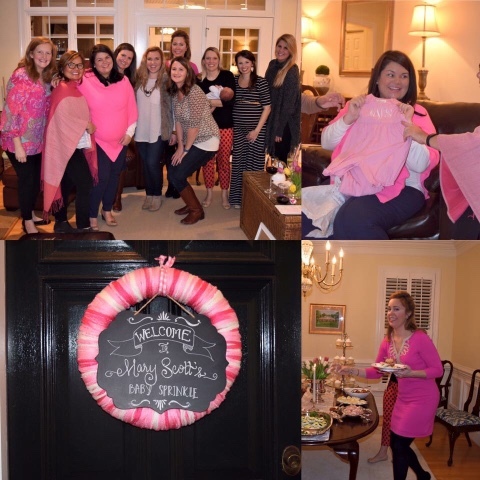 such an adorable shower! You did a great job on all the crafts! What a lovely sprinkle shower. I would've devoured the whole platter of cucumber sandwiches. Ha! 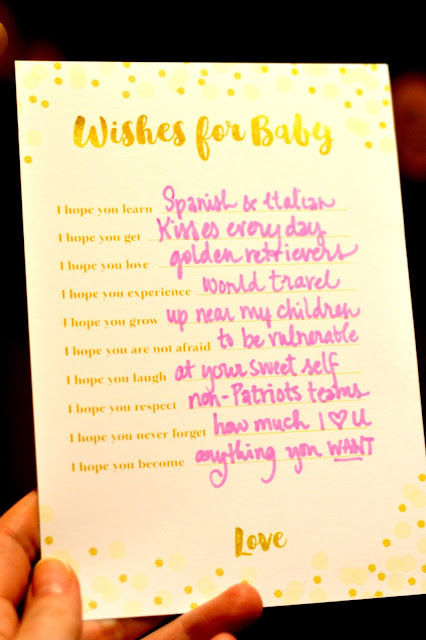 I love that "wishes for baby" idea. So sweet for her to be able to look back on when she's older! I'm stealing that picture of Sarah & me for a documention of winn's first night out! What sweet touches! I love the wreath you made and those favors are so cute! Can I "borrow" the candle idea? You did AMAZING! This is so adorable!! This is darling! I love all the pink, the little food treats look delicious and your favorites are too cute! What a lovely sprinkle! I adore the Wishes for Baby activity! How adorable! I LOVE that candle favor idea! I am a huge fan of meaningful and functional favors and those are perfect! How adorable! I LOVE that candle Frohe weihnachten 2016 favor idea! 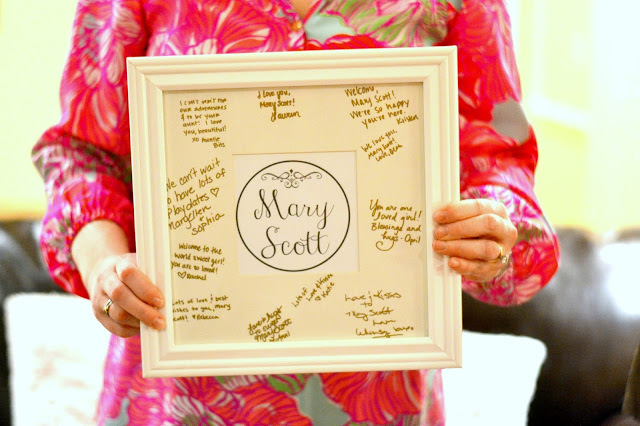 I am a huge fan of meaningful and functional favors and those are perfect! hello What sweet touches! 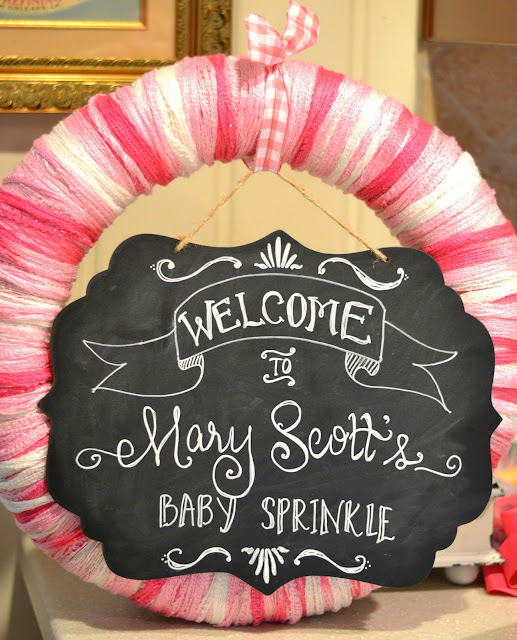 I love the wreath you made and those favors are so cute! thanks! Five On Friday - Snow Day!